Not so often you see an 'action photo' of this age featuring regular blokes riding around. This chap larking on his Royal Enfield had the decency to label the back of his pictures so we know that it was taken in 1934. The location is also written down though a little unclear but through the wonders of the interweb it narrowed down to Bereton Road in Rugeley, Stafforshire. 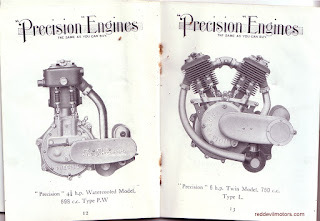 By strange coincidence I put one of these photos up on the Facebook feed before posting here on the blog and Laurent from France of Twist Grip blog got in touch to say that he has different pictures of the same machine in the same location and that the bike is a Model T 150cc. Small world! 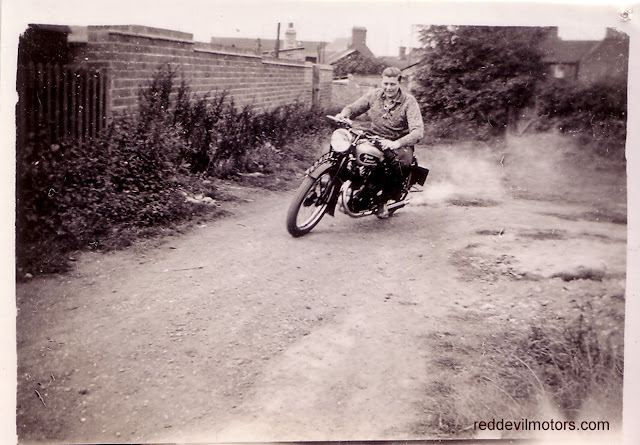 Hooning around Rugeley on Royal Enfield Model T 150cc. Another lap with the Model T Enfield. 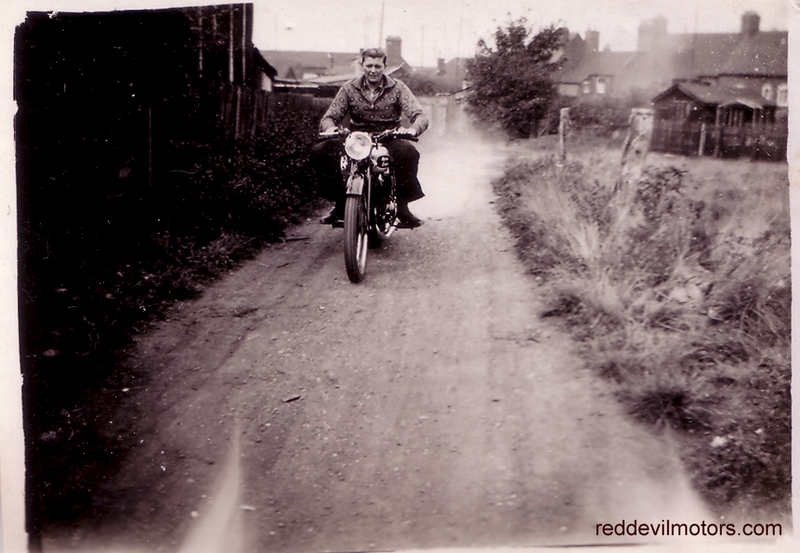 Still annoying the neighbours with 150cc of Royal Enfield bark! Yep, it's a crappy photo but there's something fun and evocative about it. 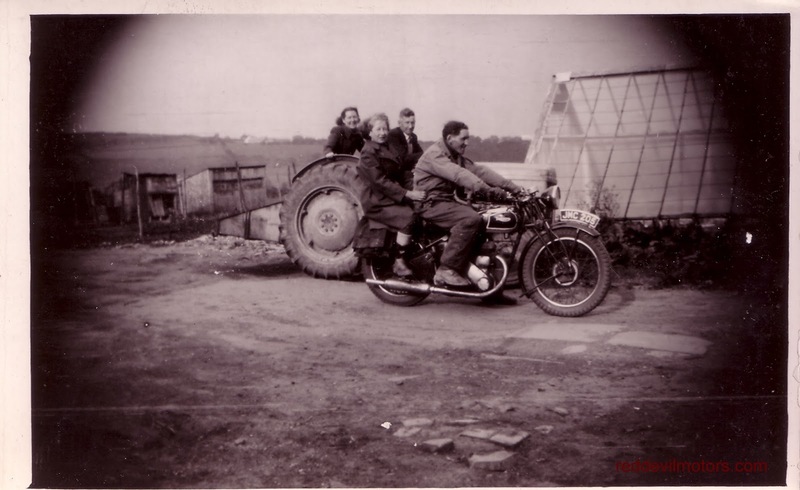 The bike is a Triumph 3SW, best guess is that the photo was taken early post-war and that the bike is an army surplus machine. The tractor looks like a Ferguson TE20 and they came out 1946. Triumph 3SW and Ferguson TE20. 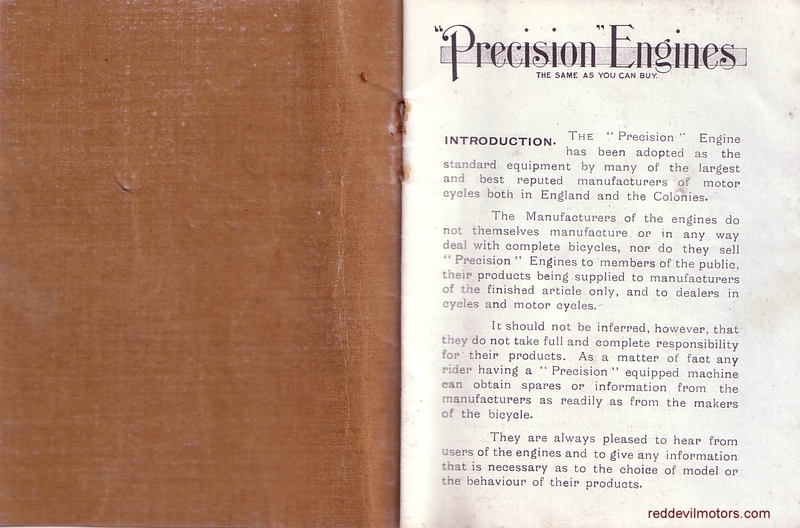 Postscript: cheers Matt for pointing out that the bike is actually more likely pre-War and not ex-WD due to the chrome in evidence on the machine. Yep, I agree, probably so. A blast from the past for many. 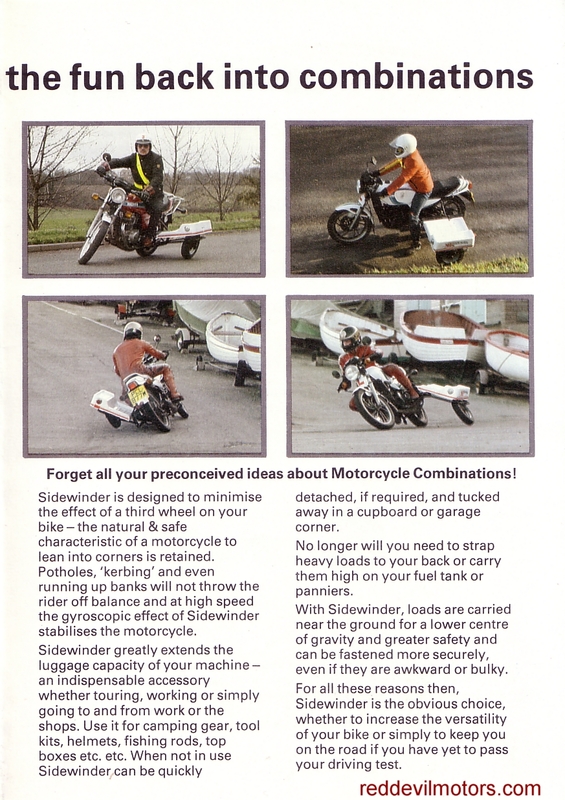 The Sidewinder sidecar from the eighties was a ruse to get around learner motorcycle laws - a learner in the UK was restricted to 125cc until he or she had passed their riding test, that is unless they were in charge of a sidecar outfit. 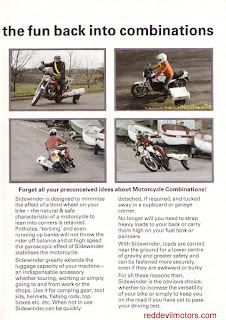 In the case of a combo any capacity was possible; so the learner could ride for example either a CB125 solo or a CX1000 with sidecar. 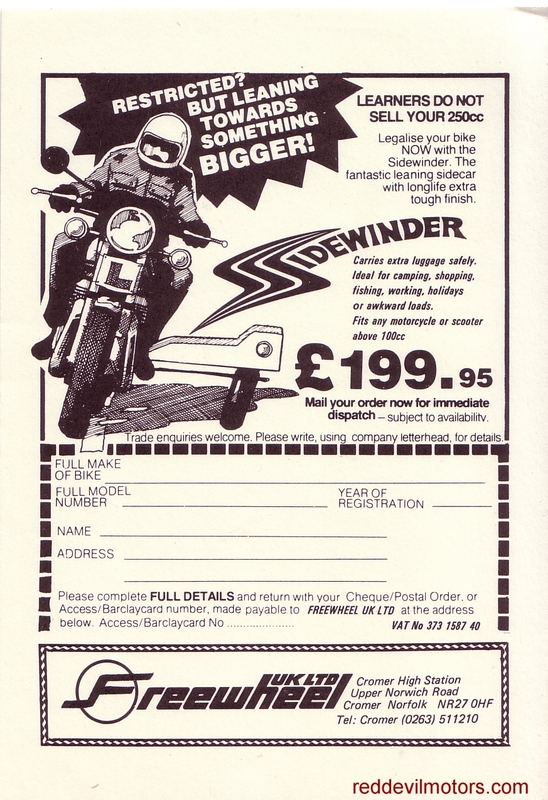 The Sidewinder was a mail order clip on banking sidecar that was aimed at the learner market. There was no passenger, or even luggage, carrying capacity. The whole thing was just a liberal interpretation of the rules to get around learner capacity restrictions. 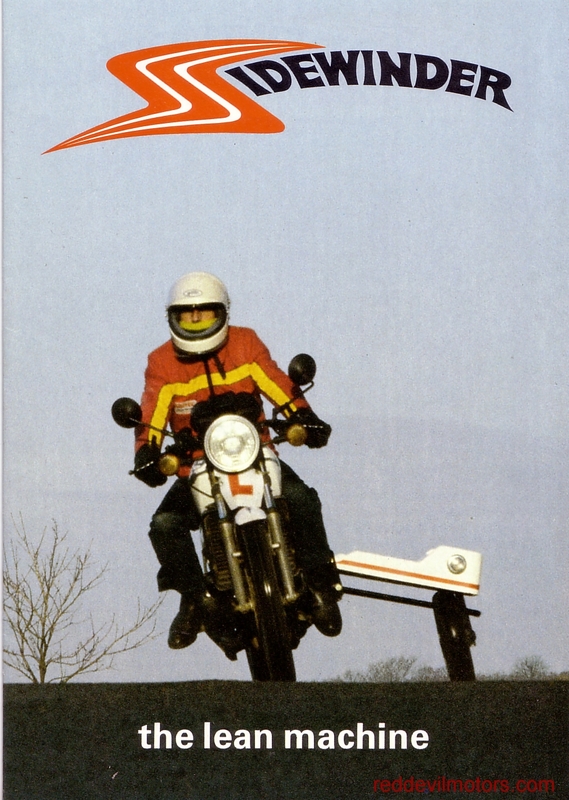 They sold a whole load of them and at one time they were a regular sight on British roads. Though the spirit of the law was being twisted there was never a huge spate of road traffic accidents associated with learners and Sidewinders. 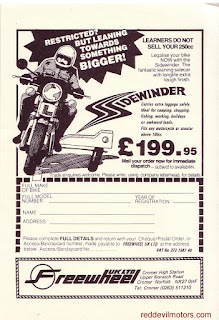 As learner laws changed and direct access riding tests came on stream so the whole raison d'etre of the Sidewinder vanished and they are now a largely forgotten footnote in British motorcycling history. 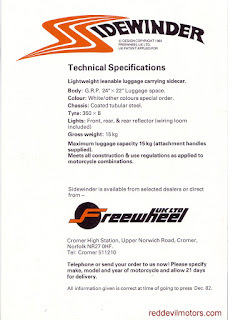 Sidewinder brochure inner page 1. 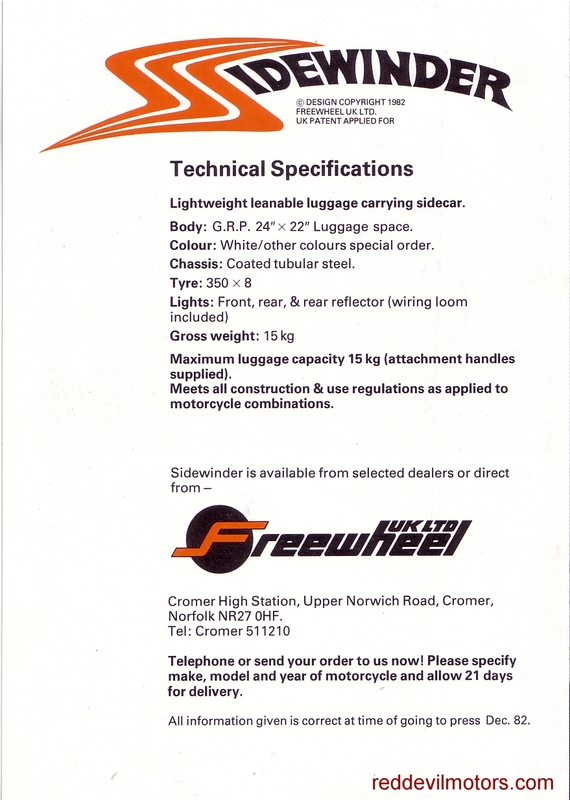 Sidewinder brochure inner page 2. 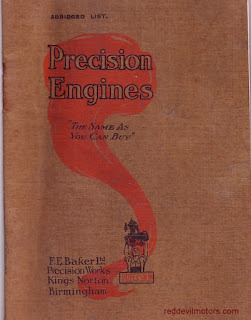 Here's the catalogue for Precision Engines for motorcycles and cyclecars from c1914. 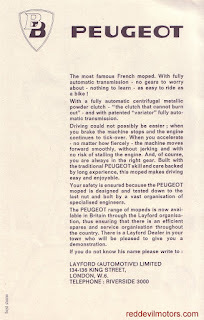 Apologies for the slightly dodgy scanning - it's a delicate item and the stapling was wonky from new. 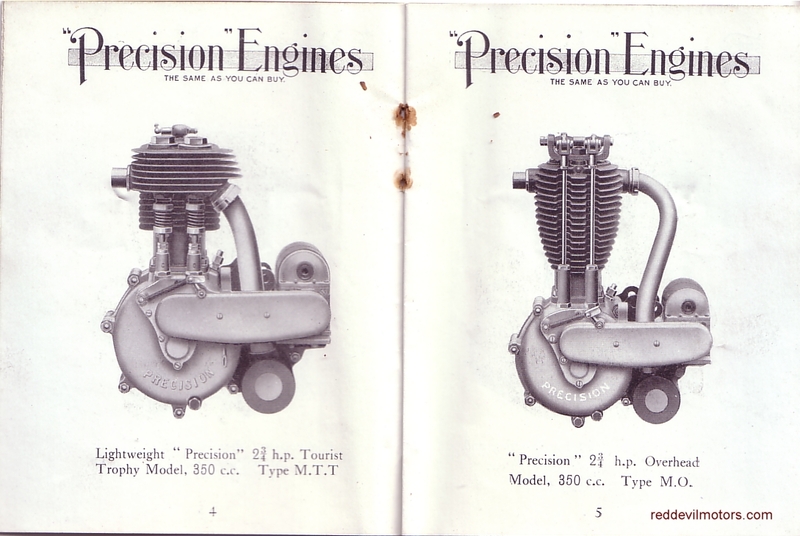 Precision brochure pages 2 & 3. 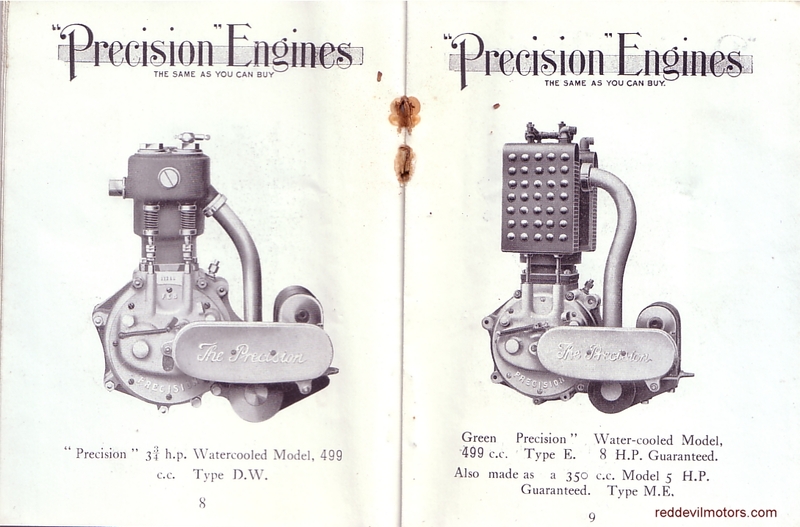 Precision brochure pages 4 & 5. 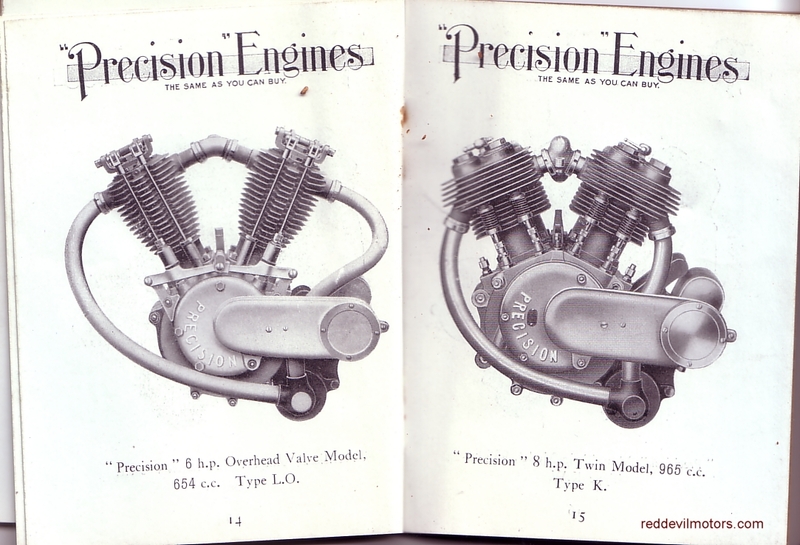 Precision brochure pages 6 & 7. 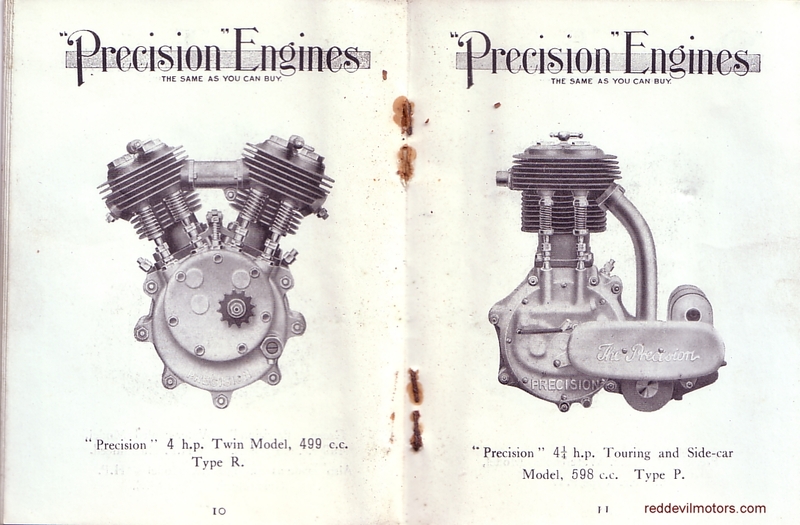 Precision brochure pages 8 & 9. 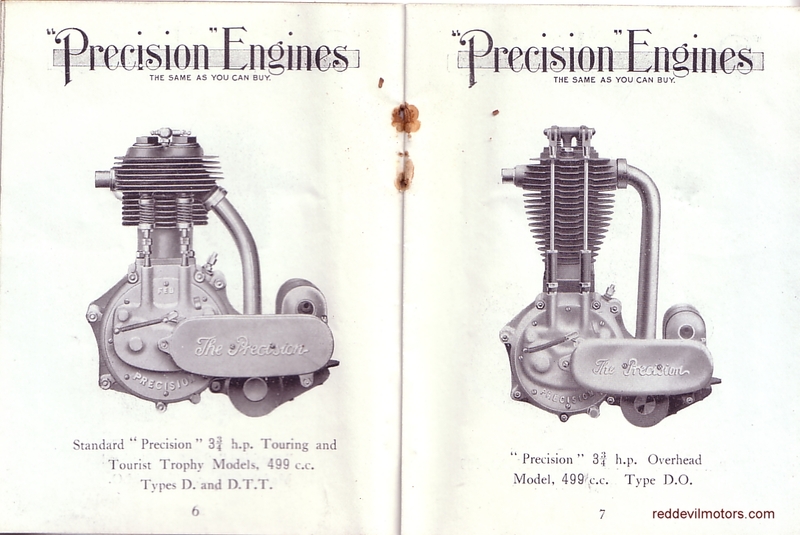 Precision brochure pages 10 & 11. 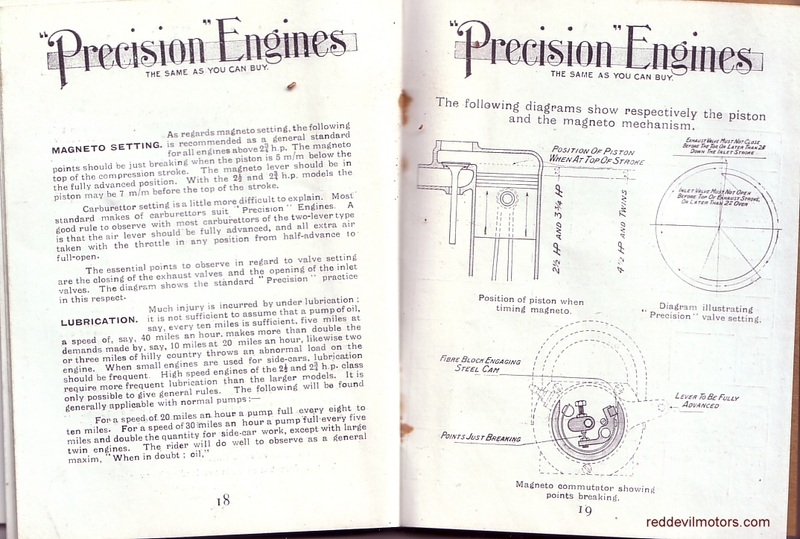 Precision brochure pages 12 & 13. 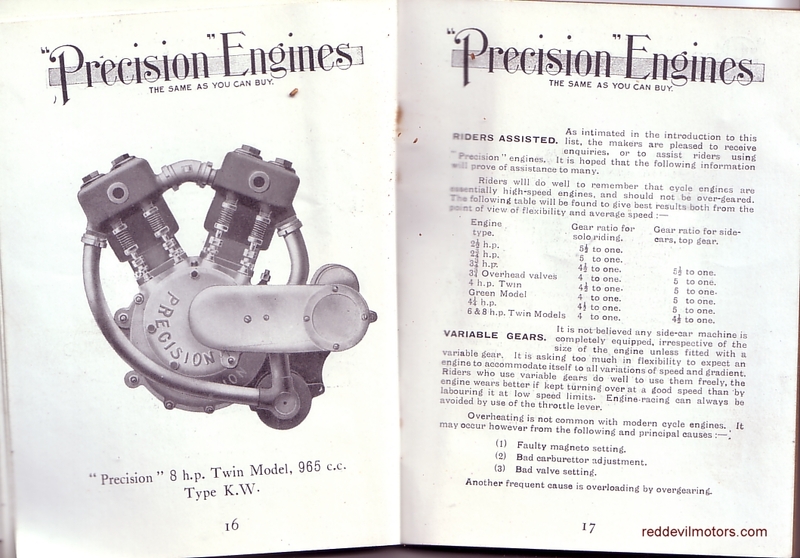 Precision brochure pages 14 & 15. 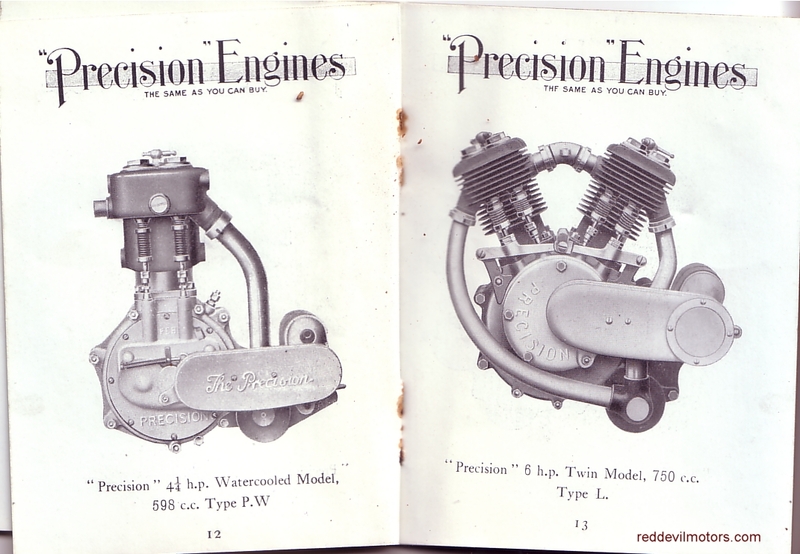 Precision brochure pages 16 & 17. 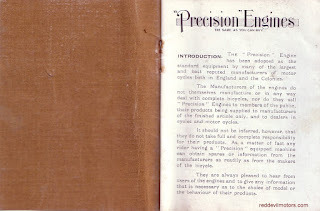 Precision brochure pages 18 & 19. 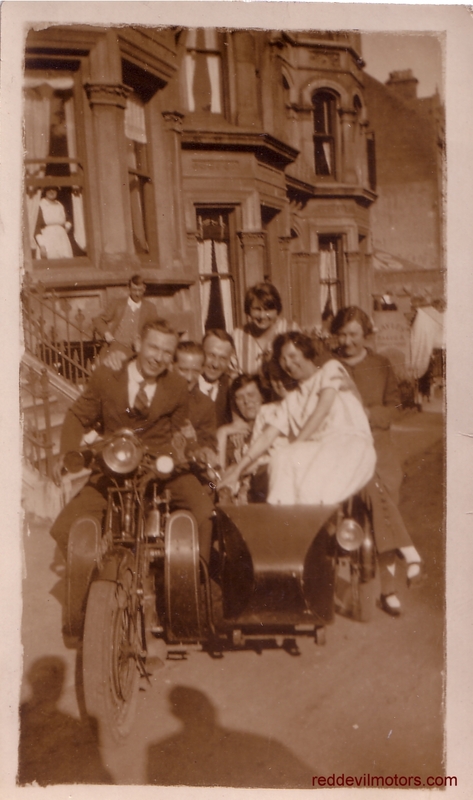 Family fun with a Sunbeam. 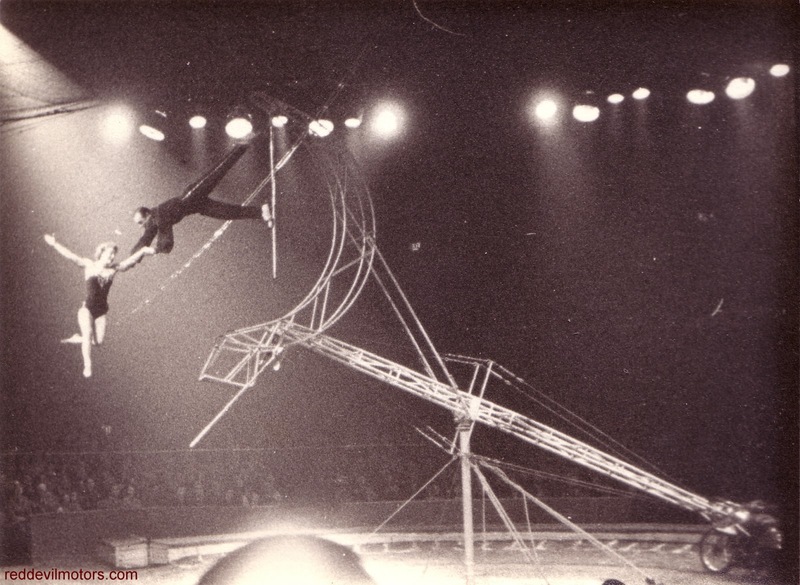 I've no idea where or when this photo was taken but it is one impressive act. 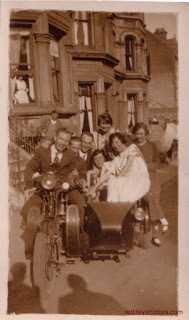 The motorcycle is only just in frame. I'd love to see a movie clip of the performance. Circus trapeze act with motorcycle. 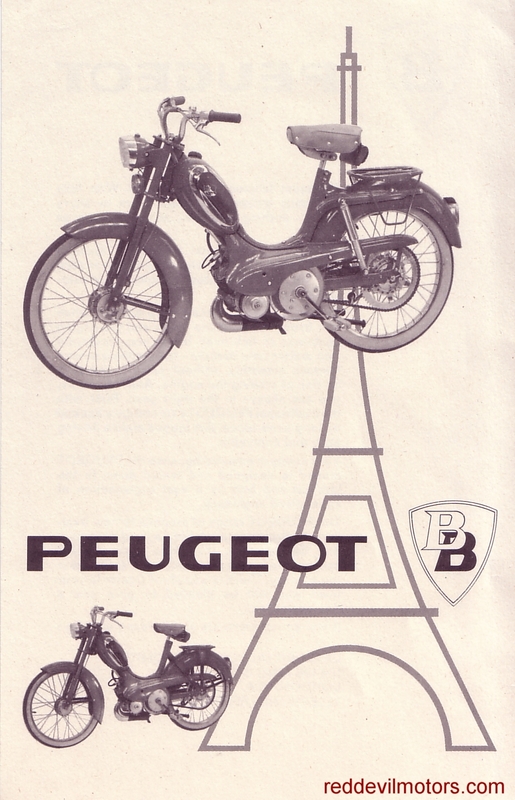 A flyer produced by Layford Automotive, the British importers for the Peugeot BB model moped. 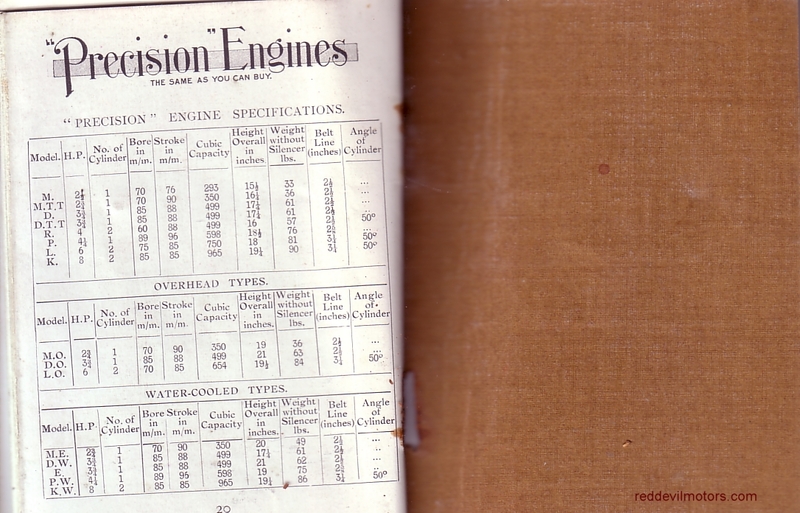 Dates from around 1960. Peugeot BB moped flyer front side. 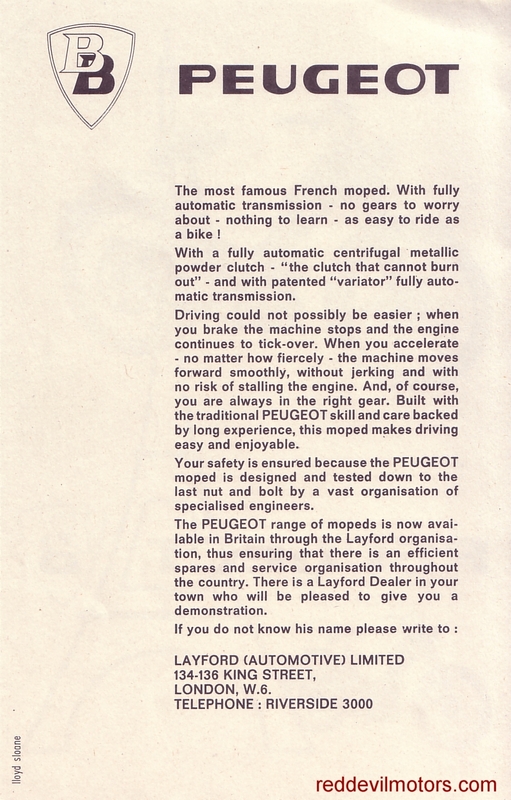 Peugeot BB moped flyer reverse side. 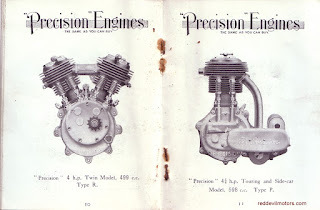 At first I thought this pair of machines were both Triumphs just from a quick look at the petrol tanks. 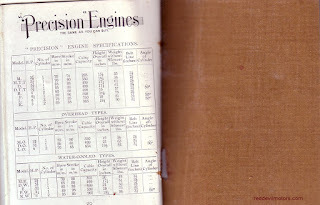 A more in depth examination however reveals magnetos situated aft of the engines and Druid type forks rather than the rocking Triumph type with horizontal spring. My best guess is that they are Rovers. The unusually shaped silencer box in front of the engine on the combo should be a giveaway. Rovers used a similar silencer but in all pictures I have found it is barrel shaped rather than angular so that leaves the identity rather uncertain. Date-wise the machines would both appear to be from the period immediately prior to WW1. Their number plates are very close together so they must be of approximately the same age. The solo machine is a TT type model with single speed direct belt drive which should certainly place it as from the veteran era. If anyone out there can enlighten further then please do get in touch. 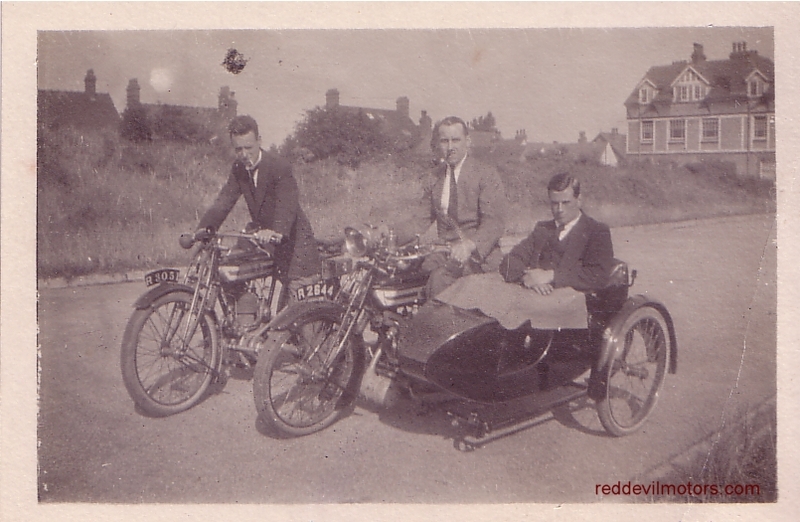 A pair of veteran Rover motorcycles. I've decided it's time to have a bit of a change around in the shed. There's couple of machines I know of for sale at the moment I'm interested in and a decided lack of money in the pocket so here we go. If you are interested in anything just get in touch and send me a mail or Facebook message. 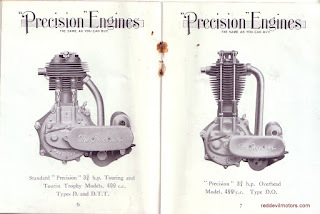 It's a genuine 1914 machine, not a restamped later BSA made engine! Comes with a Pioneer Certificate and an entry in to this year's Pioneer Run. I was planning on selling it after the Run but annoyingly I'm now going to miss it because of work so it seems like a good idea to let someone else have a go. This is frankly a terrible picture of it but it is all I have at the moment as I am away from home. The bike will come prepared and ready to use. It is, depending on how you look at it, either a very cheap pioneer machine or a very expensive cyclemotor. 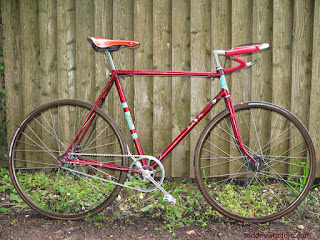 The bicycle is a rather desirable Raleigh Cross Frame. I've also got a Royal Enfield Girder Frame that the Wall would go on nicely should you so choose or you could take it with a BSA Ladies All Weather that needs a little work for a discount on the price. The Wall is unrestored but all original, it has done three successful Pioneers in recent years. I've had it around ten years and it is on an age related plate. 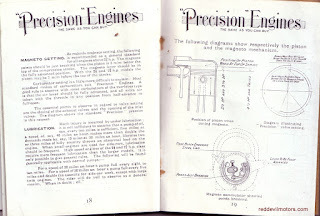 1914 Wall Autowheel for sale. Wheel now solidly attached! Not many of these out there. Needs a little work and there are a few missing parts. 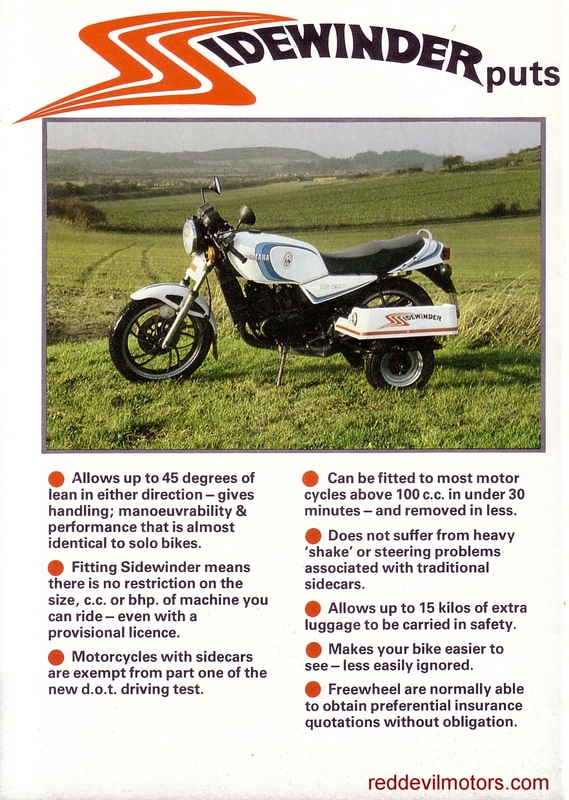 I bought a similar engine for my '04 Quadrant motorcycle for £750 so that seems like a fair price for the forecar motor. I've recently replaced the Meddings with a Kerry, not so sure why, I just liked the Kerry a little bit more. Currently in pieces for inspection but complete and in sound condition. Cases matching. 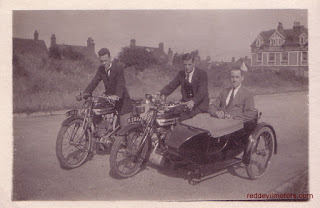 Earlier fine gear type a la Triumph H.
Elswick Hopper Lincoln Imp for sale. 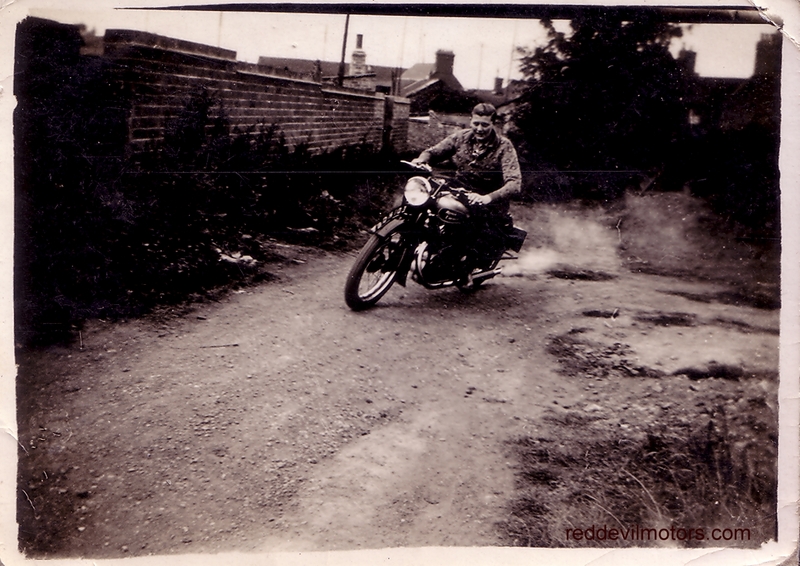 Norton Dominator 99SS 1961 - no longer available. Decided to keep it! I've owned this bike six or seven years and it's had plenty of use. A first kick starter and so far faultlessly reliable. Quite honestly the best British bike I've ever had. 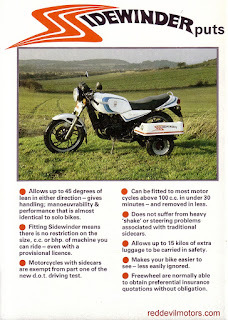 A very good example of a fine motorycle. 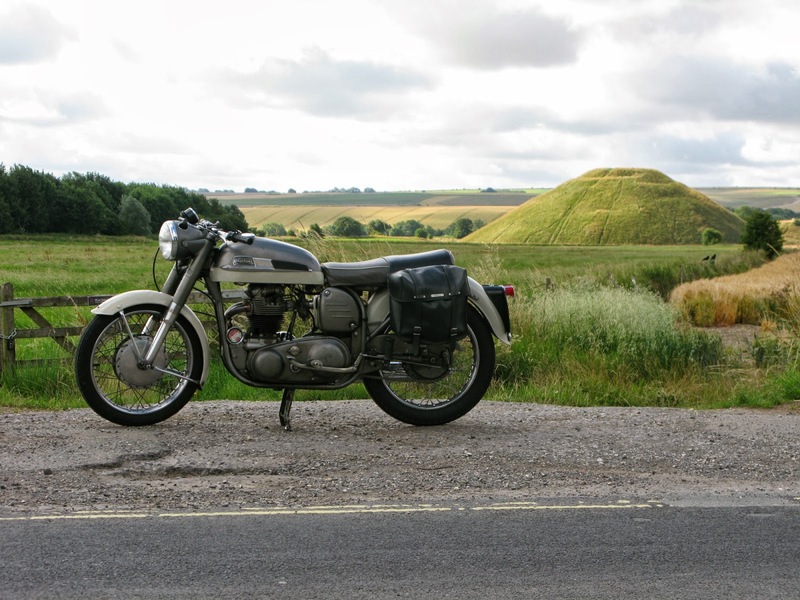 The 600 Norton represents British motorcycle engineering at its peak. Plenty of power, not overstretched and vibratory, really sweet and well mannered with superb handling. 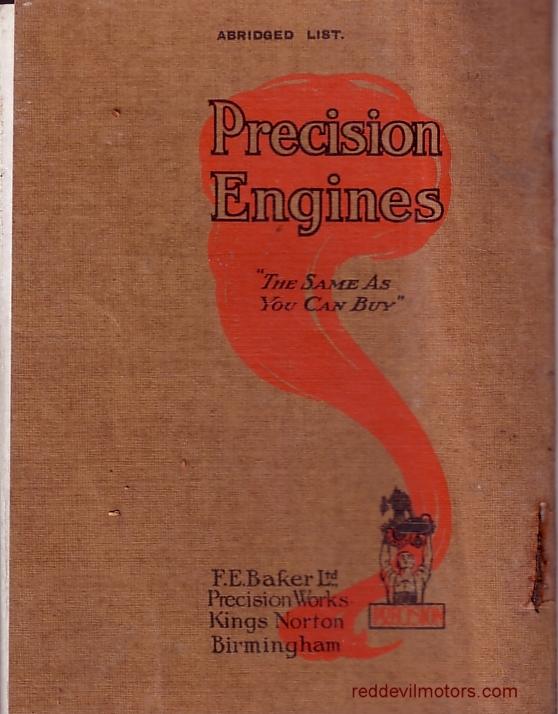 Very original condition and rather rare. The 99SS was a one year model built when Norton realised that they needed a sports model but before they had developed the 650ss. 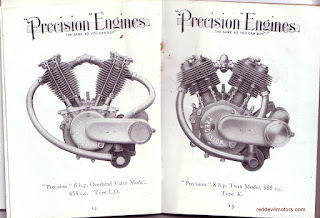 Differs from the standard Dommie in having twin carbs (currently running on single but I have the twin set up to go with the bike), a siamese exhaust, sports cam and rev counter. 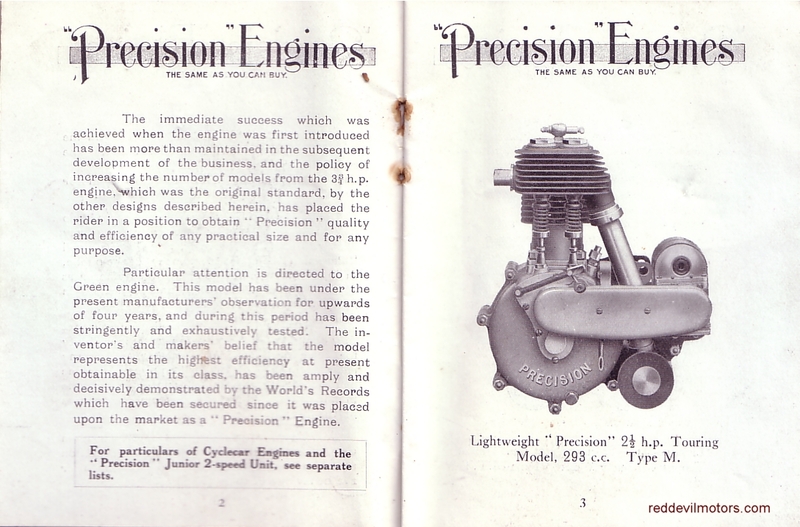 This example has featured in The Classic Motorcycle Magazine 'Authentic and Unrestored' series. I've taken it on many long runs with no bother at all, most memorably to the Vintage Revival at Montlhery, a day return trip to Founders Day (nearly 400 miles in one day) and on the Moto Piston Picos tour in Spain a couple of years ago. It can potter along on a Sunday run or cruise 75 to 80 in comfort. 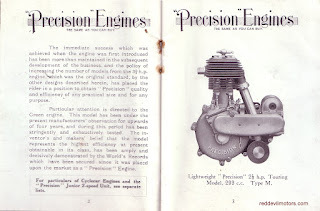 The bike is fitted with a high output alternator, halogen bulbs, a stainless exhaust down pipe, a Bob Newby belt drive and clutch, Doherty alloy racing levers and throttle. I originally imported this J2 from India a bit over 10 years ago. It went to a friend shortly after coming in to the country and then around five years ago I bought it back. 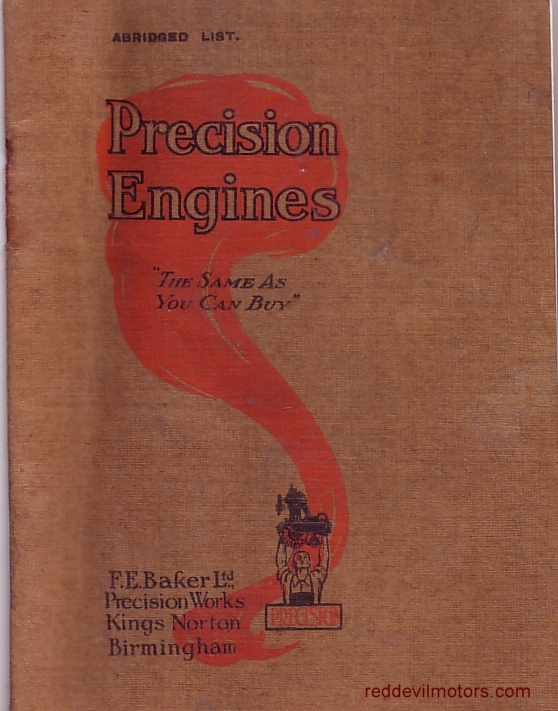 It was originally sold via a dealer in Liverpool and as far as I know went straight to India. 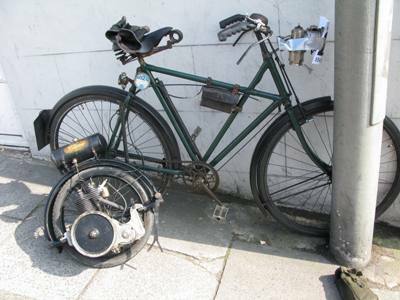 It must have been one of the last civilian bikes sold during the war. 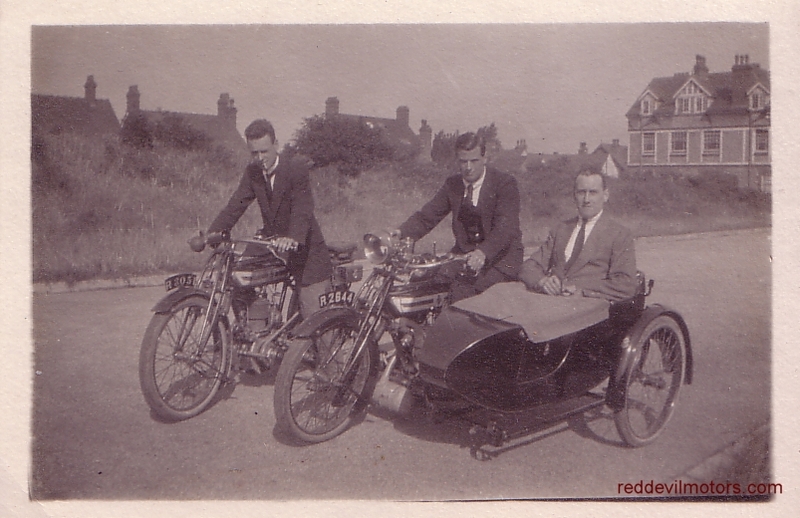 It is a bit of a scruff but solid and on the road. I've been slowly improving it in my ownership and it is now fairly sorted. Could probably do with new valve guides as folks following have reported a slight haze. It had a new piston quite recently. A set of new rims would tart it up considerably. I've fitted the J2 with an Esway prop stand which is a boon as this is a very heavy beast. 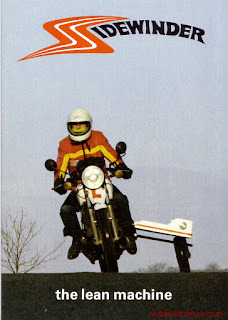 In fact it is a large bike overall, the experience isn't disimilar from riding a v-twin of the era. 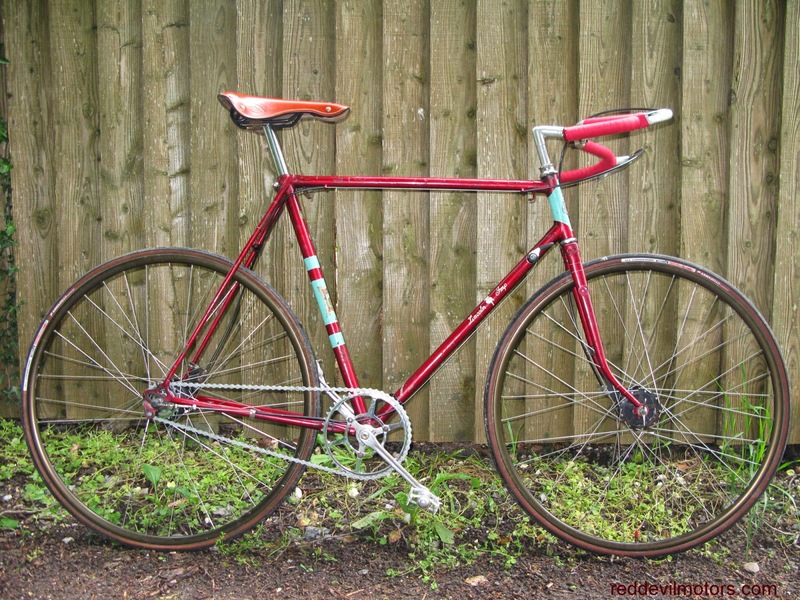 The handle bars are original but it could do with pulled back ones to make it a little bit less of a stretch. I've just recently put sealant in the petrol tank and new ethanol proof petrol taps in. It is ready to use though can be treated as a rolling project. I suspect the upswept exhausts are not right as they interfere with the toolboxes, look great though! 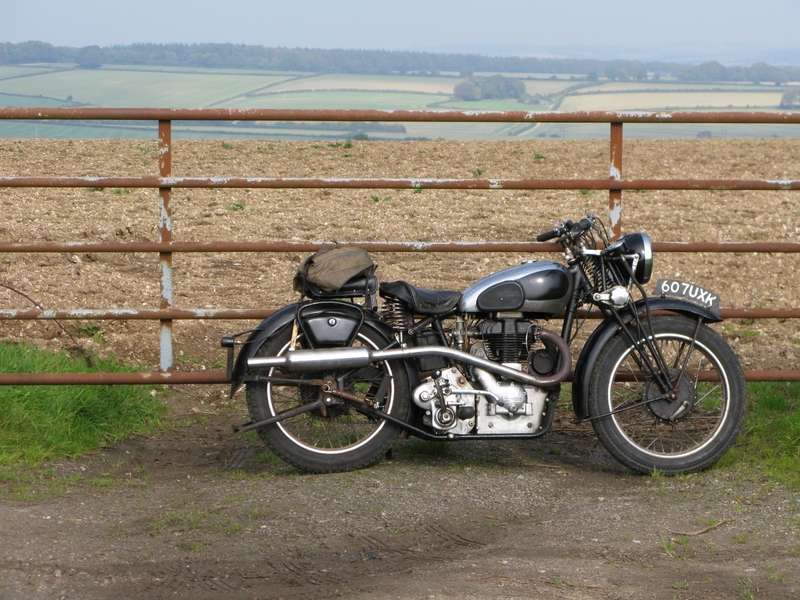 Not absolutely sure of what it is worth, in a dealers in better condition it would be an £8,000 bike but I am not a dealer and this J2 is no show machine. £Offers.